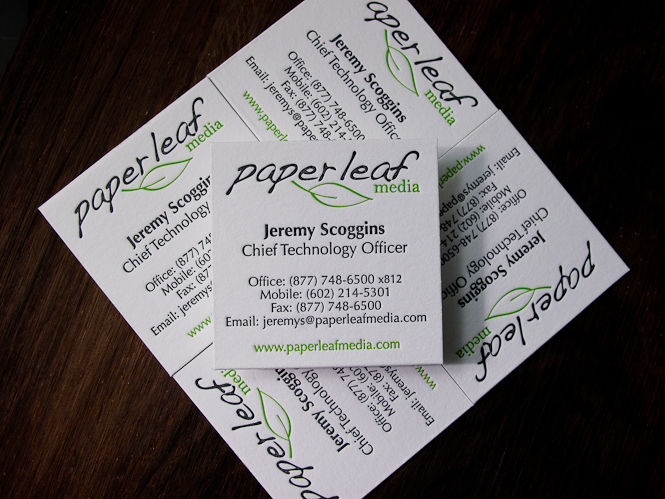 More business cards! They’re so fun to print and fun to pass out. 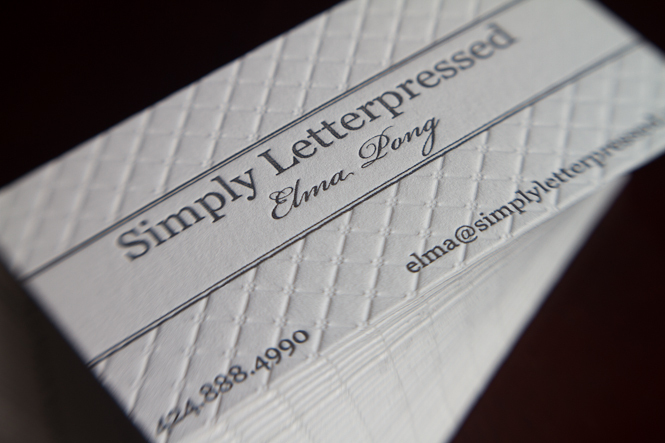 Especially when they’re letterpress business cards. I think it just has that wow factor that I just can’t get enough of. Mmm! 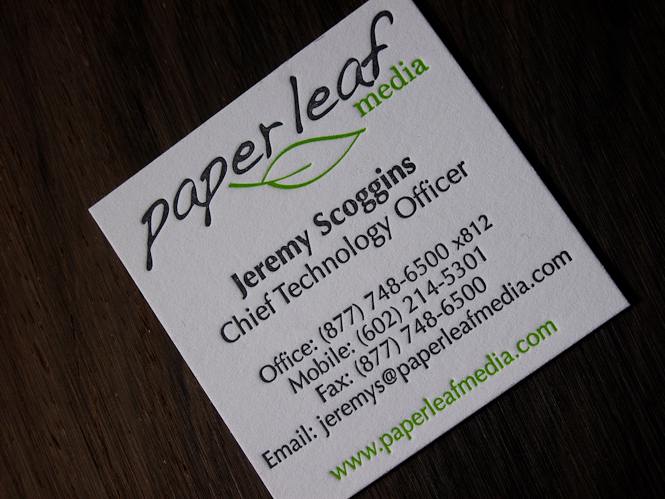 This week we printed some cards for my fiance’s company, Paperleaf Media. 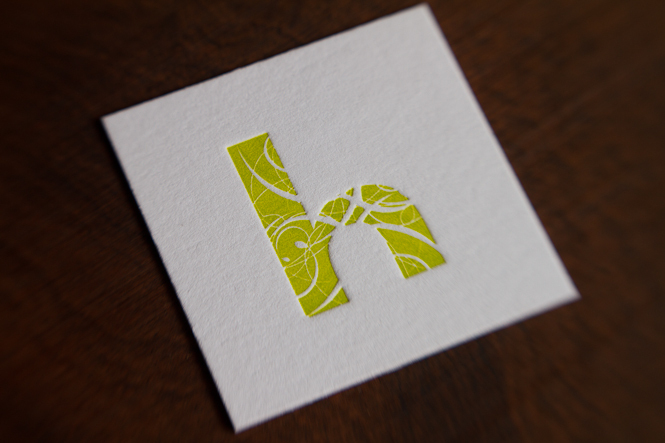 I love the design that Joe Klein put together for these cards. It’s very clean and simple. I guess the minimalist in me loves that about them. 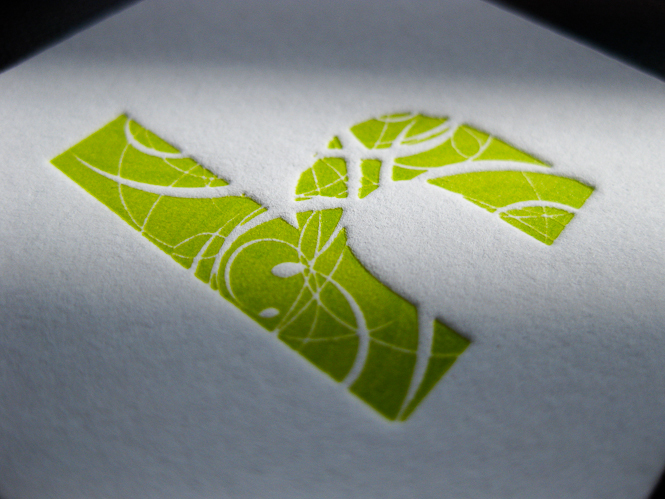 These were cut to 2.25″ x 2.25″ and we were planning on cutting them down to size (2.125″ x 2.125″). 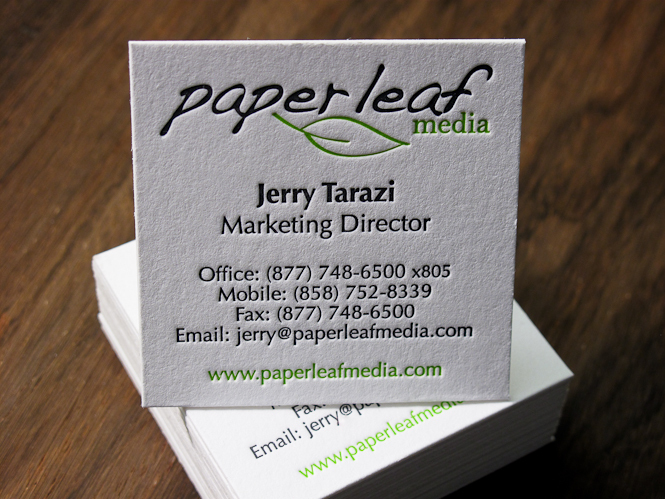 After finishing, I thought they actually looked better as 2.25″ x 2.25″ and they liked it as well. Hooray! 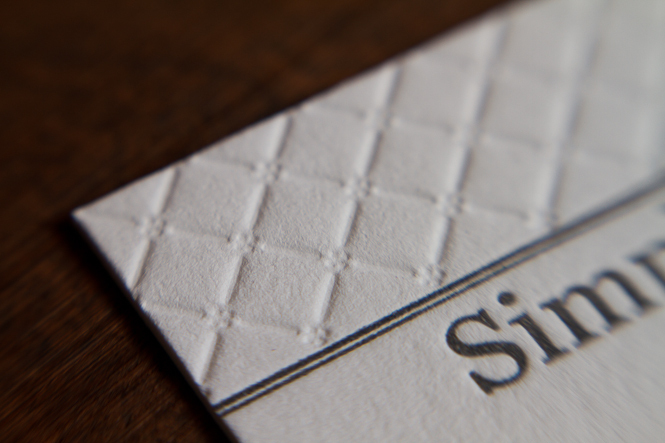 After much thought, I decided to design a 2/0 business card where I can really show off the deep impression that many of our clients are looking for. 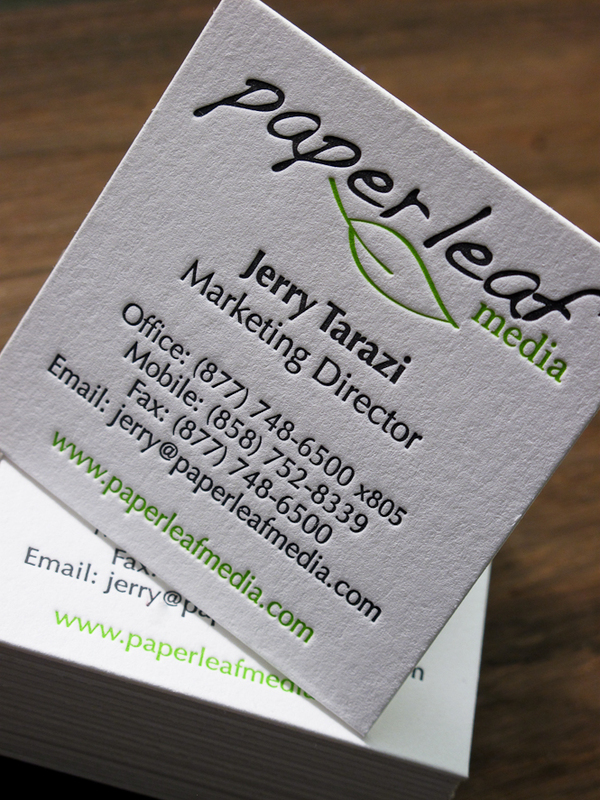 This was printed on Crane Lettra’s 220# Fluorescent White Cardstock with a blind impression and grey text/lines. I love the feel of them on my fingertips!